Customize your party decorations with a Silver Hashtag Balloon! 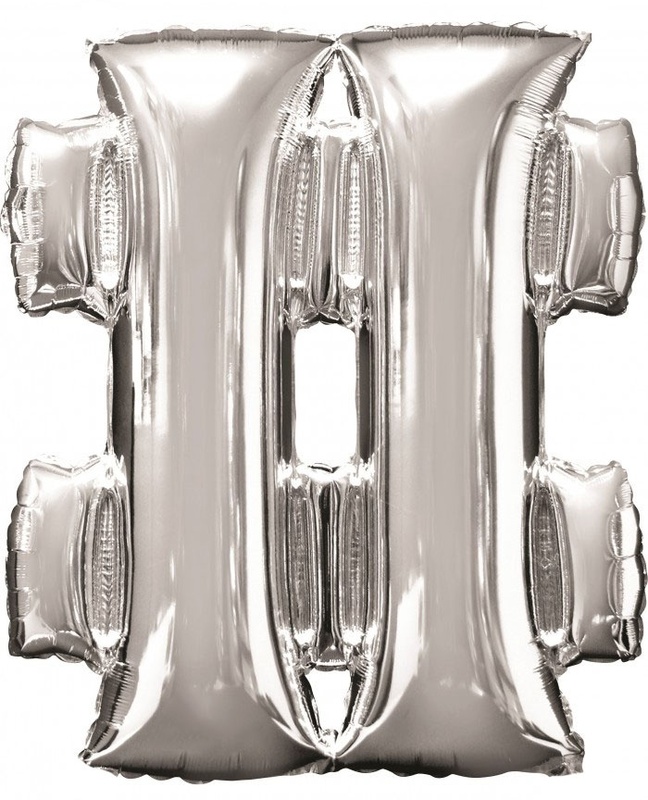 This silver foil balloon is shaped like the "#" symbol and can be used to display fun anniversary or birthday messages such as "#cheers" or "#hbd" at your party. Combine it with other letter and number balloons for a unique photo backdrop.